Right angle drills aren’t found in every tool collection, but a lot of those without one wish they did. These peculiar looking tools do something other drills simply can’t – they get into tight spaces. 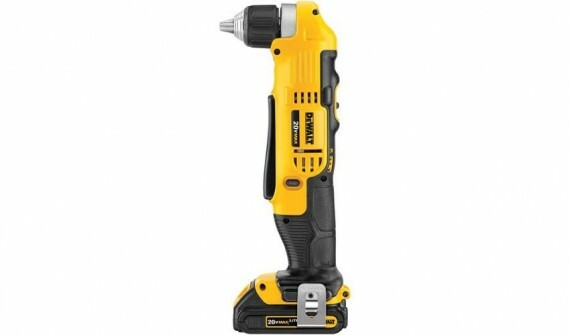 They can be used for a lot of different things like drilling between beams or behind joists, it could be working on cabinets or shelving units, drilling through studs to run wiring or plumbing, or a ton of other applications. Even the most compact cordless drill/drivers can’t fit into some places and that’s where the right angle drill comes in to save the day. If you aren’t sure whether or not you need one of these beauties, or if you know you positively do need one, take a look at the ones I’ve listed and see if your dream tool is here. One thing I have discovered is that the best tool isn’t always the biggest or most powerful one. Sometimes a mid-range tool is the absolute best thing you can have because it isn’t underpowered, which will frustrate the heck out of you, or overpowered, which will drive you crazy trying to get it to back off and not be so brutal to whatever it is you’re working on. 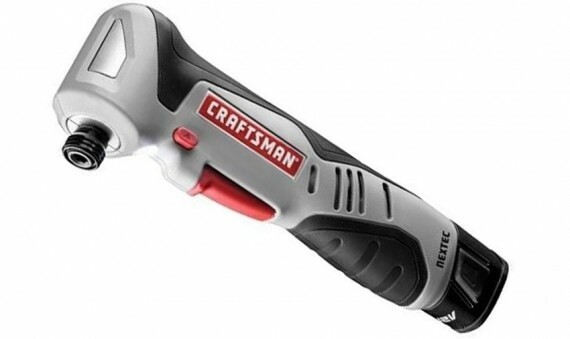 Today I’m taking a look at the Craftsman Nextec right angle impact driver, which I consider the mid-range tool I was talking about. Spending a Saturday afternoon visiting the power tool section of your local home improvement store is great for a little rest and relaxation. I was indulging in exactly that kind of afternoon and I wasn’t finding much that I hadn’t seen before, but then I looked up and saw, a few shelves away, a most interestingly shaped yellow/black tool. Everyone knows DEWALT, and their tools are always worth checking out no matter what kind of tool you’re looking for.